Larry Krasner (left) and Patricia Cummings (right and below) in the Eidman Courtroom. District Attorney of Philadelphia Larry Krasner campaigned for office promising to “transform a broken District Attorney’s Office into one that focuses on the 6% of offenders who commit 60% of the serious crimes in Philadelphia” and to “lead the fight for a fair and effective criminal justice system.” As part of his effort, Krasner is visiting 25 law schools across the country, interviewing potential new hires and talking to law students. 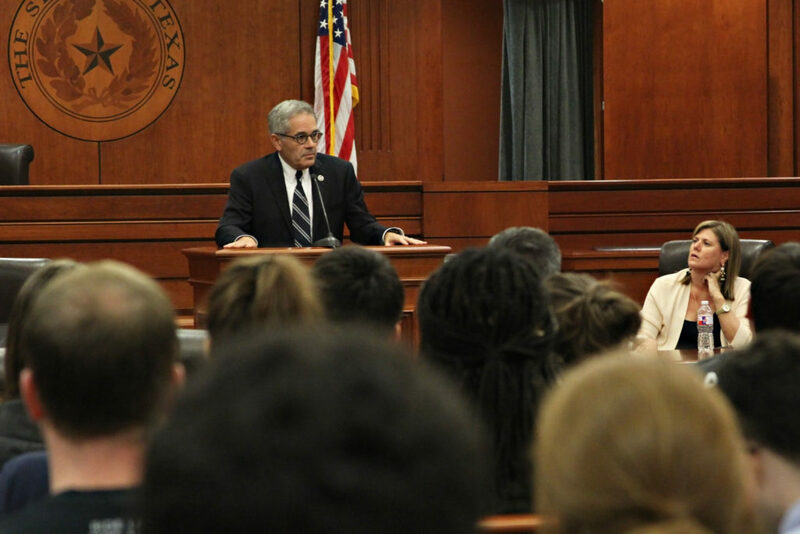 The William Wayne Justice Center for Public Interest Law, Career Services Office, and Budd Center for Innocence joined forces to host Krasner’s recent visit to Texas Law. He interviewed students in the CSO suite, spoke in the Eidman Courtroom, and met with the law school’s Criminal Defense Clinic. Speaking in the Eidman Courtroom to a large group of students, faculty and community members, Krasner was joined by Patricia Cummings, supervisor of the Philadelphia DA’s Conviction Integrity Unit, which the DA’s office describes as “one of the most groundbreaking and progressive units of its kind in the nation.” Krasner and Cummings spoke about the role of progressive district attorneys across the country in criminal justice reform and the challenges of transforming DA offices from within. They both urged students to consider working for progressive district attorneys as a way to pursue social change. Krasner was sworn in on January 2, 2017, as the City of Philadelphia’s 26th District Attorney. After graduating from Stanford Law School, he moved to Philadelphia and worked as a local public defender and then in the Federal Public Defender’s Office. In 1993 he started his own private practice, specializing in criminal defense and police misconduct matters, and tried thousands of bench and jury trials in criminal and civil courts. Cummings, a Texan with a long career in criminal and juvenile defense, spent nearly nine years as the director of litigation for the Innocence Project of Texas and the New York-based Innocence Project, and was a supervising attorney for many years with Texas Law’s Criminal Defense Clinic. 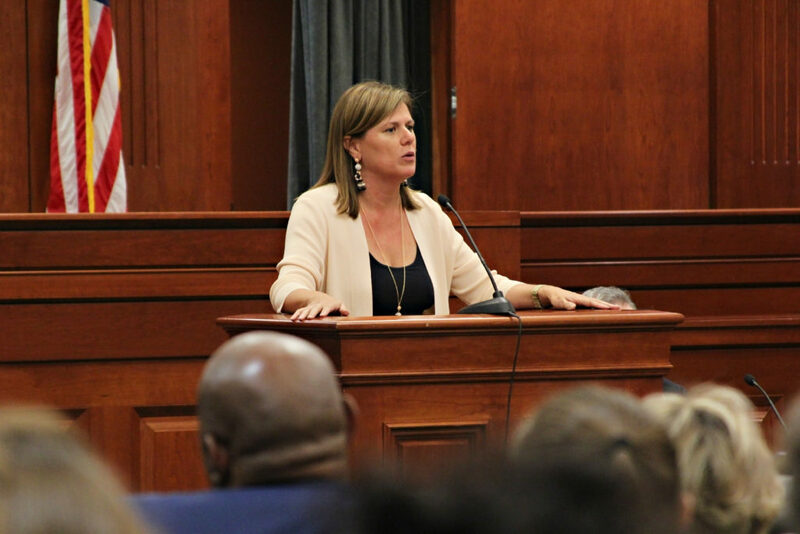 One of the highlights of her time at the Innocence Project of Texas was obtaining DNA test results to gain the release of Michael Morton after wrongfully serving nearly 25 years in prison. She advocated for the passage of the Michael Morton Act, Texas’ most comprehensive criminal discovery reform act in over 50 years.